It’s no surprise that there’s a huge amount of interest in careers in information technology and computers in general. 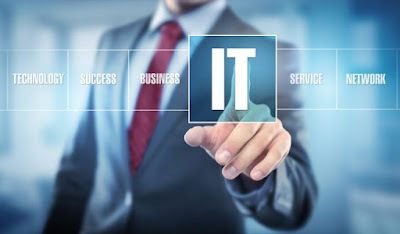 Almost every business in any industry relies on a computer network in some way, be it for data, marketing purposes or anything in between. This sector has experienced rapid growth in recent years and is expected to continue to do so with more and more businesses incorporating digital processes. With so many jobs in the sector, you may be wondering how to land a career in IT. Perhaps unsurprisingly, many entry-level positions ask for someone with experience. This can make it hard for someone starting out, but with some hard work and dedication, you can break into the industry. Undoubtedly, one of the most sure-fire ways to get noticed by a recruiter is to have a relevant degree. That goes for almost any professional industry. IT is a quickly changing industry, so getting an up-to-date certificate is important for anyone, even for experienced professionals. There’s a range of different types of certifications someone can get within IT. For example, a degree in computer science may take several years, but a course focusing on a specific IT skill may take just a few days. Online education providers like Upskilled have a whole range of certificates and diplomas which you can study at your own pace. If you have already completed a degree, you may find that that’s still not enough to secure a job in the competitive field of IT. One thing you can consider doing to catch a recruiter’s eye is to start your own project. Certificates often demonstrate your knowledge but employers want to know what you can actually do. If an entry-level position wants you to have some experience, freelancing can be a good start. Find something you can build on your own, see if friends and family need help, or offer your services to the neighbourhood. When it comes to on-the-job experience, it’s hard to beat an internship. Internships are great as they often look to work in conjunction with your degree. There’s a lot of conversation around students taking unpaid internships, but in such a competitive market, you might decide you want to take on an unpaid work experience assignment to get your foot in the door. Of course, you should use your best judgement. If you’re slaving at a desk for 10 hours, unpaid, you may want to reconsider your options, but remember how important experience is when it comes to finding a job. Check local and online job boards like PushCV, Jobberman but you should also reach out to local companies to see if they would be interested in an intern, whether they have posted a job ad or not. One thing that hasn’t changed over the years is the importance of networking. Aside from the huge amount you can learn at networking events, there will be many industry contacts at the event. Even if they don’t have an open position for you now, they might have gone down the track, and remember that friendly young IT enthusiast from the last event, or they might know of a position elsewhere. You can ask for jobs, internships or see if you can simply shadow someone in the industry. More importantly, just being involved with others within the IT industry is an important step in landing a career in IT. If you’re serious about getting a job in IT you should treat your job hunt as a job itself. Spend the time to craft a high-quality CV and tailor it to each job you apply for. When you get an interview opportunity, be sure to practise some common questions, and prepare some interesting questions about the role and the company you’re interviewing for. Make sure you explain the experience you have gained so far, the experience you want to learn and what you can bring to the team. Showing your passion is fundamental to having a successful interview and eventually landing a career in IT. This article was submitted by Pravin Mahajan, the Chief Technology Officer at RateCity.com.au, where you can make smarter financial decisions and compare thousands of financial options.